Sydney Shop Girl: Getaway Brain. Just as well my legendary gardener came over last weekend to rehabilitate the back garden rather than this one because it's shaping up to be a very soggy one for Sydney indeed. Garden aside, the house is as ready as it can be for some special house guests who arrive today. My mum and two aunties are all coming to stay and both Preschooler SSG and I can hardly wait to see them tonight. A fortnight of his favourite noodle dishes awaits Preschooler SSG and I even managed to find him a fancy pair of junior chopsticks just in time. They cost $8 per pair in Australia and I found ours at our local sushi train restaurant. They even make a left handed version which I was planning to get for my would be left hander but Preschooler SSG had his heart set on this little frog instead. Yes, your eyes do not deceive you. They are beef sausages in last night's Hokkien noodles. As the days tick over until the trip, I've been on a mission to clear out the fridge and freezer. The sausages and a packet of Hokkien noodles were the last ingredients standing. Fortunately it all worked out quite well in the end. I've got getaway brain right now. It's three days until I fly and the important decisions have been made. 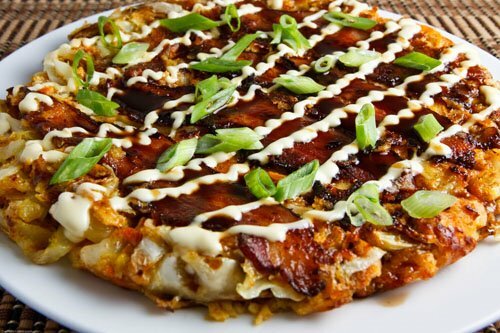 I'm going to be eating okonomiyaki on the plane. I've remembered to activate the free travel insurance included with my credit card. If you're travelling soon, don't forget to check if you qualify for this too. All I needed to do was apply online through my bank's website. 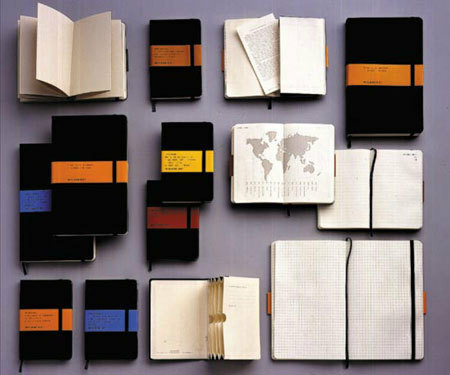 I'm waiting with fingers crossed that my Book Depository order of several coloured Moleskine notebooks arrives before Tuesday morning. I left it a bit late and while my order was despatched from the UK earlier this week.... it's going to be a bit of a gamble if I get them in time. Cross your collective fingers for me, readers. They were just such a good price (30% or so cheaper than retail here) that I couldn't resist. 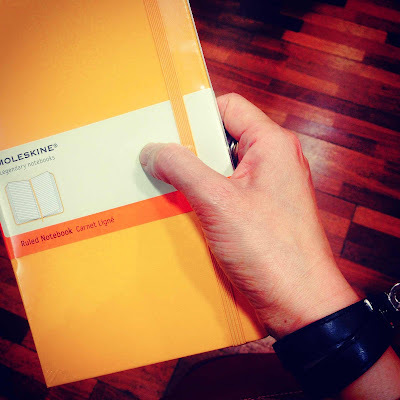 Moleskine notebooks are the only ones I can write in properly plus they're built to last. Which is all well and good but there's just the small matter of getting through work this weekend. I'm going to dig deep but I think I'll get there. At least the coffee is good where I will be for much (sob) of the weekend. Do you get getaway brain? What are the big issues that crowd your mind when you do?